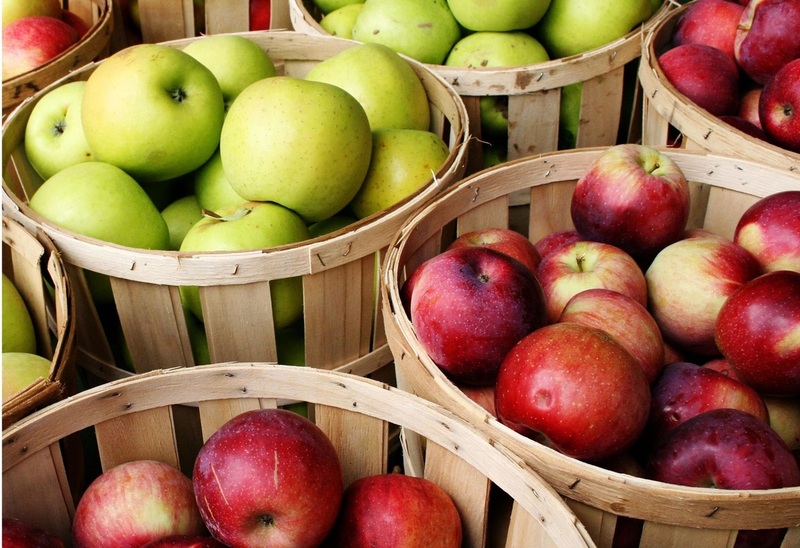 Apples come in an almost unbounded number of varieties. Everyone seems to have their own favorite, with preferences by color, shape, size, flavor, "bite", juiciness and use. Whatever you prefer, for whatever reason, take time to know about apples - heirlooms, classics, the newest and the most popular. 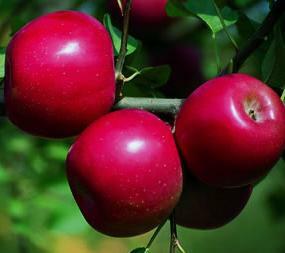 Each apple is a little jewel from the natural world, served up for your enjoyment! Use this page to discover the varieties grown and enjoyed at Craft Orchard. Watch for links to information about all varieties, hopefully coming soon as our website improves! 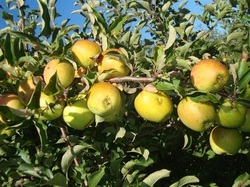 A mid season apple - one of Pam's favorites! Green/yellow in color, producing a lovely pink blush as it ripens. Crisp juicy bite, creamy colored flesh, good for baking, applesauce and cider. A good keeper. Mid-to-late season red apple. Firm and crisp, with a spicy aroma and mild tartness. Great for cooking and baking. Keeps 5-6 months if refrigerated. This dessert apple has a tart, tangy flavor that sweetens with age. Very crisp bite. Excellent fresh or in pies and crisps.